In reality, a mum deliberately abandoning her kids in Australia in order to create a new life for herself in Brighton might be frowned upon as either unnatural or one of the last taboos, perhaps even warranting a visit by a censorious social worker. 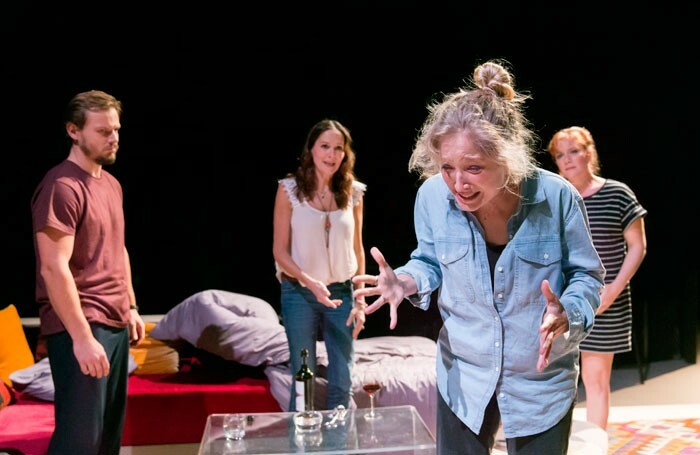 But in Deborah Bruce’s family drama, a mothering instinct gone completely adrift from what’s perceived as the norm sparks an illuminating journey about the power of female friendship, the nature of nurture and the often messy challenges of modern parenting that’s both heart-rending and hilariously funny. Crucible associate director Charlotte Gwinner’s original production was a big hit at the Orange Tree Theatre, Richmond, last year: her assured studio restaging now transfers seamlessly from one intimate in-the-round space to another – before a re-run at Richmond – while a new cast make Bruce’s superbly drawn characters and intelligent, unsentimental and often wickedly comic dialogue seem fresh from start to unsettling finish. At times, the combination of finely drawn characters and close-knit ensemble work is quite breathtaking, with Michelle Duncan’s emotionally fragile but determined Bea bridging a nightmarish moral chasm between striving for personal freedom and confounding maternal conventions. Charlotte Lucas and Charlotte Emerson are on top-notch form as well-meaning old friends still stumbling along with complicated parenthood histories of their own. Perhaps Bruce’s final scenes don’t quite live up to the preceding drama. But everything else here rings true to contemporary life, including male characters who take on childcare duties as if it was perfectly natural, unlike the lone mother courageously going against the natural order.